George and Tammy are there. So are Johnny and Hank, and Waylon and Willie. "Everyone has personal favorites that didn't make the list," said Kaye Zusmann, CMT's vice president of program development and production. "Everyone will look and say, 'How can that not make it on there?'" Country Music Television, like CBSNews.com, is owned by Viacom, Inc.
That figured heavily in the top choice, "Stand by Your Man," Wynette's plea to women to forgive their wayward men. "It's the prototypical country song," Zusmann said. "It has everything." "When you're away from home, it enters your mind, you know," he said. "You hope she's not fooling around, and you're missing home." Jones, who has the No. 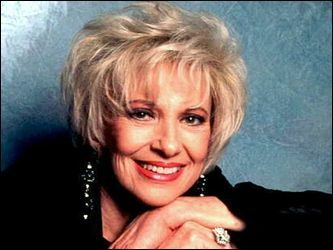 2 song on the list with "He Stopped Loving Her Today," said Wynette's signature song "belongs where it is." The song resurfaced in 1992 when then presidential candidate Bill Clinton and wife, Hillary, appeared on CBS News' 60 Minutes shortly after Gennifer Flowers alleged she had an affair with Clinton. "I'm not sitting here as some little woman standing by my man like Tammy Wynette," Mrs. Clinton said. Wynette demanded an apology, saying Mrs. Clinton had "offended every true country music fan and every person who has made it on their own with no one to take them to a White House." Mrs. Clinton said she didn't mean to hurt Wynette's feelings, and Wynette later performed at a Clinton fund-raiser. When the singer died in 1998, the Clintons issued a statement calling her a legend. Rounding out the CMT top 10, in order, after Wynette and Jones: Patsy Cline's "Crazy," Johnny Cash's "Ring of Fire," Hank Williams' "Your Cheatin' Heart," Brooks' "Friends in Low Places," Cline's "I Fall to Pieces," Glen Campbell's "Galveston," Charlie Rich's "Behind Closed Doors," and Waylon Jennings' and Willie Nelson's "Mommas Don't Let Your Babies Grow Up to Be Cowboys." Ray Charles, who performs "Behind Closed Doors" at the concert and has the No. 49 song with "I Can't Stop Loving You," said the beauty of a great country song is its simplicity. "It's very plain, very simple music," Charles said Tuesday. "It's just for the average guy. You don't have to be a scholar or you don't have to be in the elite class or nothing like that. You just have to listen to the music and listen to the lyrics and the lyrics tell everything."